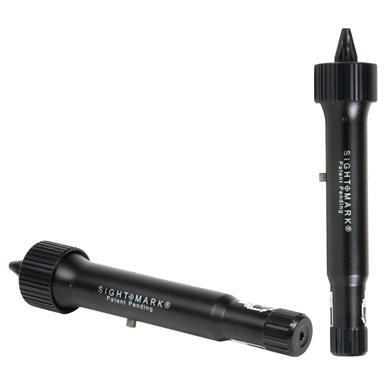 Sightmark® Triple Duty Universal Green Laser Boresight. 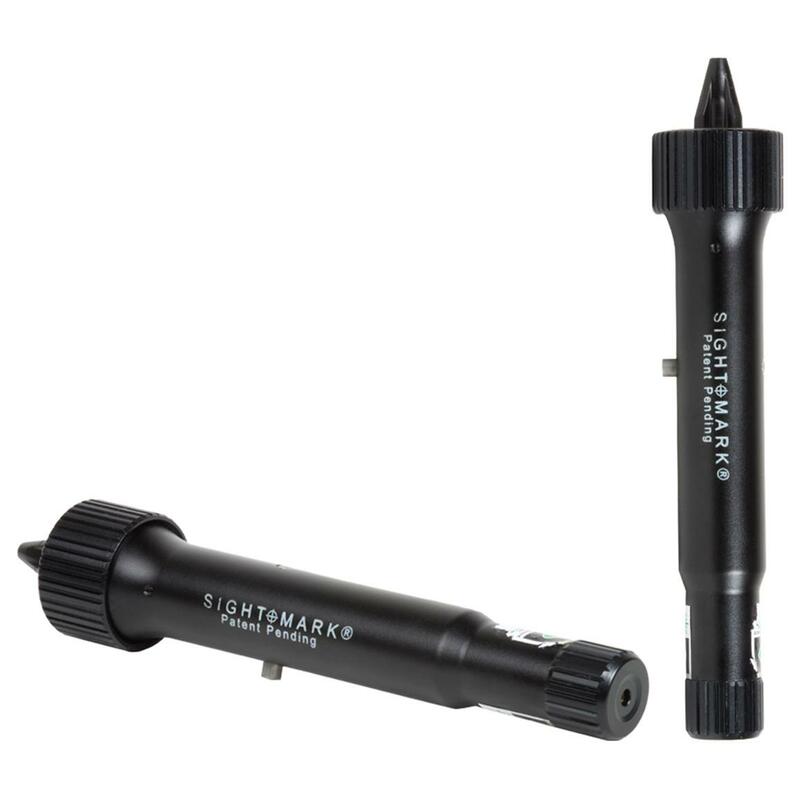 The most convenient, accurate method for sighting for all types of pistols and rifles. Use that ammunition you'll save for honing your shooting skills... and for the hunt! Simply place the base of this Universal Boresight onto the end of the barrel of your weapon, and it will attach magnetically. A laser dot will then show precisely where your gun is aiming! Equipped with special retractable arbor for instant centering. Ideal for hunters, competitive shooters and law enforcement. Aluminum construction. Includes battery pack and carry case.